Museum Rentals | The Fralin Museum of Art, U.Va. 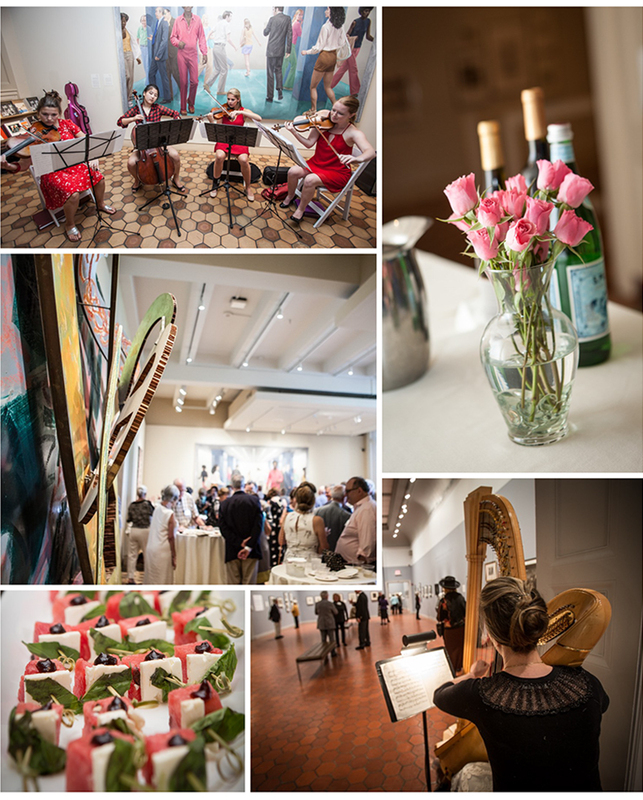 Thank you for considering The Fralin Museum of Art at the University of Virginia as a venue for your special event. The Fralin makes its facilities available for rental to community members, in order to increase public awareness of the Museum and to generate revenue in support of the Museum's educational programming and general operations. We want your event to be as elegant, pleasant and efficient as possible, and aim to share our exhibitions and programs with your guests, while preserving and protecting the art environment. The information below will help you to understand the features and restrictions unique to any museum venue, so you can determine whether The Fralin is the right place for your event. Please direct your inquiry and set up a walk-through with Jennifer Brecht, Development Associate and Special Events Coordinator by email or phone 434.924.7554. The Cornell Entrance Gallery is the focal point of the Museum and is a lovely and warm setting for cocktail receptions and seated dinners. Several large, vibrant pieces from the Museum’s permanent collection are on display and our Pine Gallery, just adjacent, offers a rotating exhibition space that is easily accessible. Our Museum security team strictly upholds the Museum’s maximum capacity, as determined by the University Fire Marshall, for the safety of all guests and visitors. *Please note that the capacity for events may actually be lower than noted above, based upon space required for buffets, bars and guest seating. Contact The Fralin today, to see whether the Museum might be a good venue for your next special event! Harvest Moon is a corporate sponsor of The Fralin and caters all of our Member events.